India is allowed to construct hydroelectric power facilities on tributaries of the Jhelum and Chenab rivers with certain restrictions under the 1960 Indus Waters Treaty (IWT), the World Bank has said. The World Bank's comments came as officials from India Pakistan concluded the secretary-level talks over the IWT. 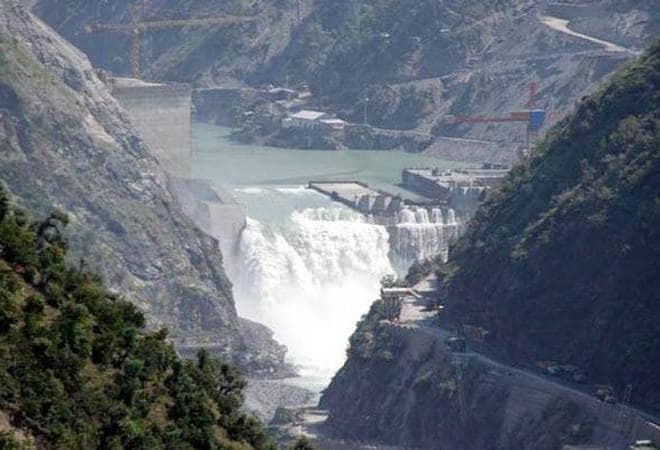 Pakistan opposes the construction of the Kishanganga (330 megawatts) and Ratle (850 megawatts) hydroelectric power plants being built by India in Jammu and Kashmir, the global lender said in a fact sheet issued yesterday. Noting that the two countries disagree over whether the technical design features of the two hydroelectric plants contravene the treaty, the World Bank said the IWT designates these two rivers as well as the Indus as the "Western Rivers" to which Pakistan has unrestricted use. "Among other uses, India is permitted to construct hydroelectric power facilities on these rivers subject to constraints specified in annexures to the treaty," the Bank said in its fact sheet. It noted that the talks on the technical issues of the IWT took place this week "in a spirit of goodwill and cooperation". The parties have agreed to continue discussions and reconvene in September in Washington DC, it said in a separate statement. In the lengthy fact sheet, the World Bank said Pakistan asked it to facilitate the setting up of a Court of Arbitration to look into its concerns about the designs of the two hydroelectric power projects. On the other hand, India had asked for the appointment of a neutral expert to look into the issues, contending the concerns Pakistan raised were "technical" ones. The IWT was signed in 1960 after nine years of negotiations between India and Pakistan with the help of the World Bank, which is also a signatory. The World Bank's role in relation to "differences" and "disputes" is limited to the designation of people to fulfil certain roles when requested by either or both of the parties, the fact sheet said. Earlier, in a letter dated July 25, the World Bank had assured Indian Ambassador to the US Navtej Sarna its "continued neutrality and impartiality in helping the parties to find and amicable way forward." The two countries last held talks over the two projects in March this year during the meeting of the Permanent Indus Commission (PIC) in Pakistan. Pakistan had approached the World Bank last year, raising concerns over the designs of two hydroelectricity projects located in Jammu and Kashmir. It had demanded that the World Bank, which is the mediator between the two countries under the 57-year-old water distribution pact, set up a court of arbitration to look into its concerns. The international lender had in November 2016 initiated two simultaneous processes for appointing neutral expert and establishing of a court of arbitration to look into technical differences between the two countries in connection with the projects. The simultaneous processes, however, were halted after India objected to it. After that, representatives of the World Bank held talks with India and Pakistan to find a way out separately. The talks between the two nations over the treaty come amid tensions between them after a number of terror attacks in India by Pakistan-based terror groups.